The whole family went out the other day for a ski trip, we did not get more then 100 meters from out house when we saw this deercarcass. My first thoughtts were that there has been a lynx here. But with 2 kids in the pulka that did not wanted to stay still I did not have any time to have a closer look. But after the skitrip I went back to have a closer look and then I could see that there had been a fox that had killed the animal. There were alot of tracks from birds that had been there to have a bite. The day after I was back again to see what had happened and the carcass was now gone and the only thing left was some blood and pieces of fur. The most interesting part is that most people think it had been wolves or a bear that had done it. But we too often forget our more common animals like the fox. Detta inlägg postades i English, Ute och omkring och märktes Deer, Fox, Nature den januari 21, 2013 av Johan, Nordic Bushcraft. Could a fox bring down a deer? I’m thinking more of a scavengingscenario here. 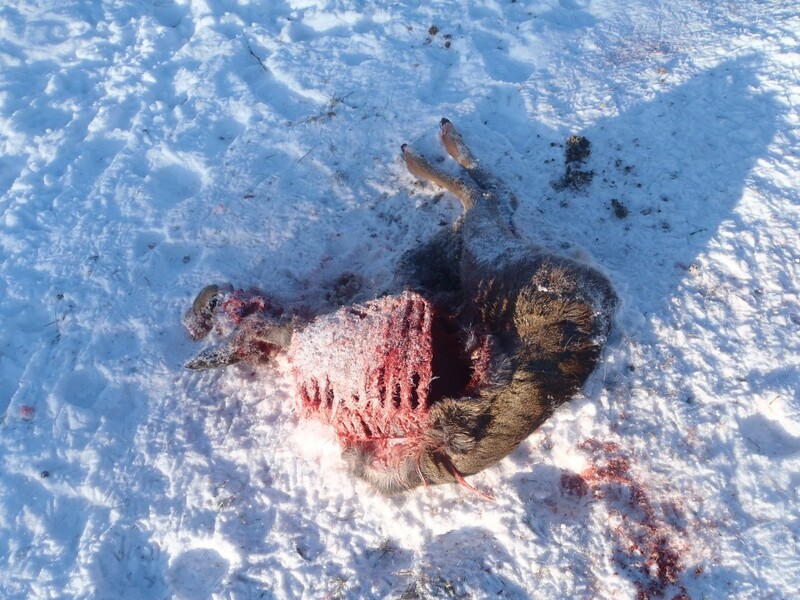 The deer died because of winter and others fed on it. Yes it can, that why I called the post ”The forgotten fox” because these days we forget that we have animals other then wolf and lynx that can kill deer. I did not now that! Always thoght that deer would be too large for a fox. Thanks for the teachings and the link! Visst kan det vara räv, men att räven tar vuxna friska rådjur säger jag är väldigt (!!!) ovanligt. Om du inte har bilder på betten så så säger jag svält/sjukdom.